The Elife atomizer is another great innovation by Biansi! This is an Authentic Biansi Product. 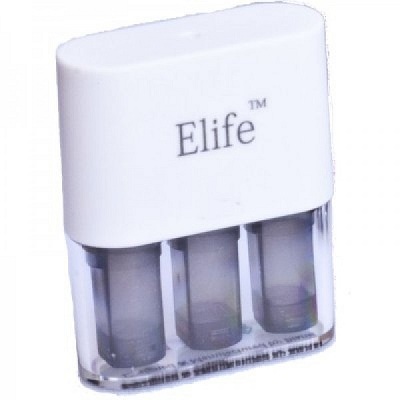 The Elife Atomizer comes with a 2.0 ohm atomizer coil. 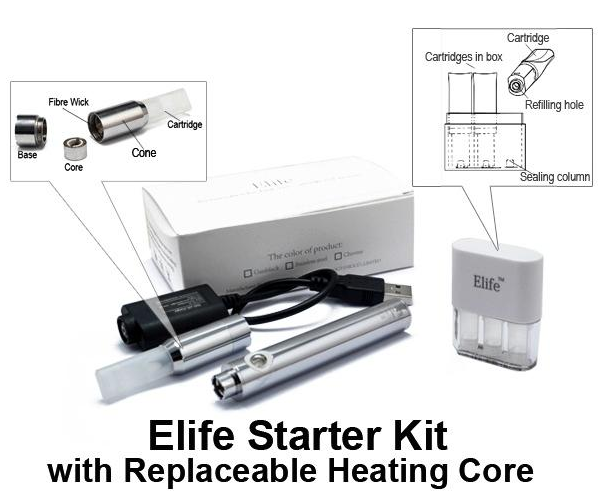 The Elife atomizer has a replaceable heating coil! 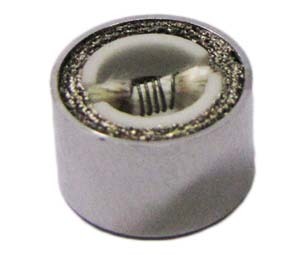 When your atomizer has run its life, you don't have to replace the bottom section, nor the top section of the atomizer! 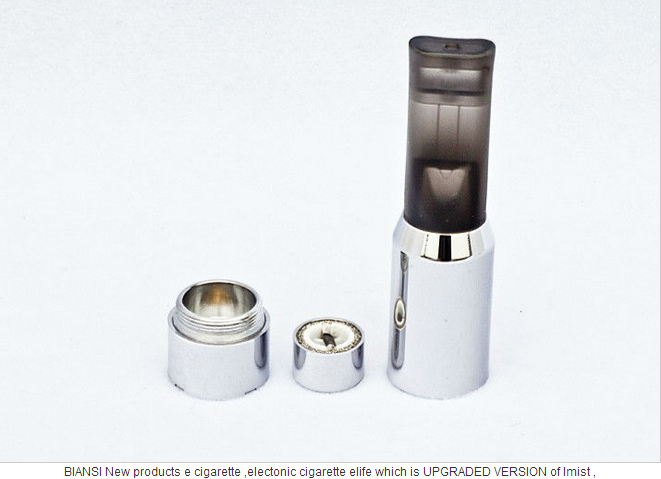 Simply replace the atomizer coil, making the Elife a very economical atomizer! The Elife also, uses the same replaceable wicks as the Imist by Biansi. The Elife resistance produces a warmer vapour and great throat hit. 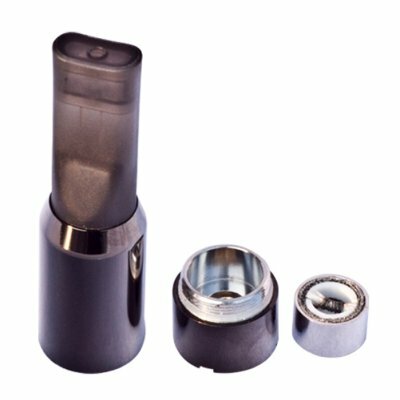 The atomizer has improved on the Imist "clover" design which improves the wicking system and increased vapour production.